Acuachem brand uPVC plumbing system are produced out of sophisticated third generation hi-tech plants sourced from global majors viz M/s. Theysohn, M/s. Ferromatik etc. added with expertise of technocrats with decades of devotion to wards innovation & developments. We Aquachem industries offers our client a huge variety of Rigid UPVC Pipes. 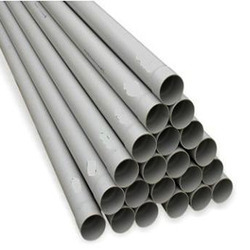 Clients can avail from us wide range of High Quality UPVC Pipe which are offered as per astm d-1785 (SCH-40). Aquachem pipes and fittings are manufactured in an installer friendly way. While only minimum tools, minimum hands and minimum time necessary one will relish the simplified plumbing assignment. 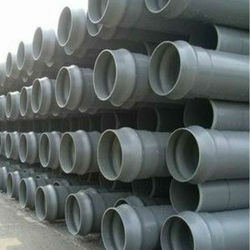 We offer these pipes & fittings at industry leading prices. These are manufactured using quality raw material which is procured from reliable & trusted vendors. Aquachem brand UPVC Pressure Pipes are produced out of sophisticated third generation hi-tech plants sourced from global majors viz M/s. Theysohn, M/s. Ferromatik etc. added with expertise of technocrats with decades of devotion to wards innovation & developments. Aquachem brand UPVC plumbing Pipe are produced out of sophisticated third generation hi-tech plants sourced from global majors viz M/s. Theysohn, M/s. Ferromatik etc. added with expertise of technocrats with decades of devotion to wards innovation & developments.